At last, some uplifting news on South Africa’s marine life. 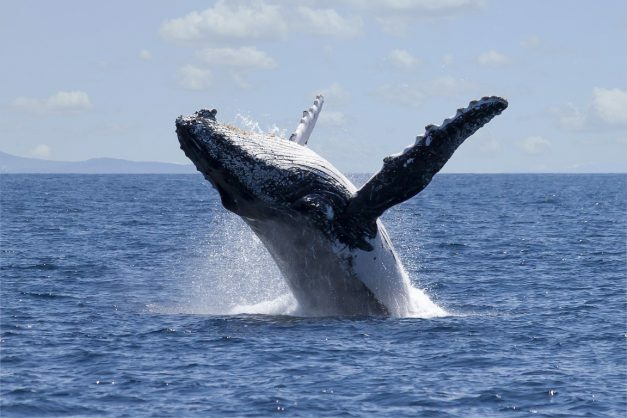 De Hoop Nature Reserve in the Cape has been confirmed as one of the best places to see whales in southern Africa – with a recent aerial census spotting 1 116 of the animals in waters off the reserve. The number is three times what it was in a similar exercise done last year. Jean Tresfon, a well known marine conservation photographer, did the survey with whale scientist Chris Wilkinson. She said with “all the bad news, especially on the state of our marine resources”, she was thrilled “to share something more uplifting”. She said the Koppie Alleen part of De Hoop reserve was “the most important nursery area for southern right whales on the SA coast”. Dr Razeena Omar, CEO of CapeNature, which is co-funding the research this year, said it was “exciting to see this positive growth”.